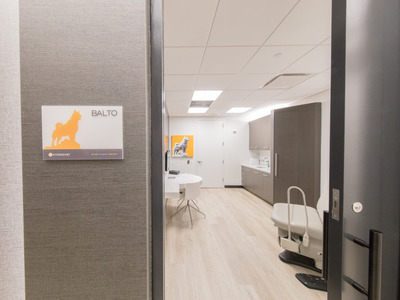 Courtesy Crossover HealthOne of Crossover Health’s exam rooms at its Midtown, Manhattan location. Crossover Health, a company that runs on-site or near-site healthcare clinics for large employers, has been gaining traction. In July, the company had its 1 millionth patient visit, with plans for another 500,000 visits in the next 12 months. Companies like Crossover are growing at a time when employers are looking at ways to cut down on their own healthcare costs. From in-house chefs to cold brew to bikes on campus, tech companies have always been looking for perks to give them a competitive edge. One perk Apple landed on back in 2011: on-site health clinics. The world’s biggest tech company chose to work with a little-known startup called Crossover Health to operate its medical clinics in its Cupertino headquarters which would give employees access to healthcare without having to leave the Apple campus. Fast forward eight years later and Southern California-based Crossover has grown to operate 13 on-site clinics and five near-sight clinics in the San Francisco Bay Area, Boston, and Texas. The company now works with other large companies like Facebook, Comcast-NBCUniversal, and LinkedIn. While Apple decided earlier this year to build its own clinic in Cupertino, Crossover still works with other Apple employees in locations outside headquarters. Crossover has been gaining traction. In July, the company had its 1 millionth patient visit, with plans for another 500,000 visits over the 12 months for its 175,000 employee members. It’s also picked up $US113.5 million from investors including Gurnet Point Capital and Norwest Venture Partners. For many Americans, their employers are the ones picking up the tab for their healthcare. More than half of the non-elderly population is covered by an employer-sponsored healthcare plan, and almost 80% of large companies are self-insured. As healthcare costs go up, employers are the ones feeling the pressure. Some are starting to get fed up and looking for new ideas. That’s where Crossover comes in. The hope with on-site or near-site clinics is to make healthcare more convenient for employees, and along the way ideally cheaper by cutting down on visits. Crossover says it can save as much as $US970 per member compared to what employers would be paying if that employee went through the traditional healthcare system. That savings can add up for a company with thousands of employees. 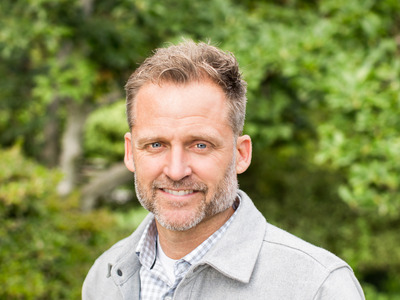 It makes Crossover CEO Scott Shreeve’s pitch simple. On-site clinics aren’t anything new. Their history dates back to the 1800s, and they rose again to prominence between 1930-1960, around the time employers started covering healthcare as a way to convince people to work for factories that were ramping up production during the war economy. After that, the popularity of on-site clinics waned, though there’s now a renewed interest as employers look for new ways to tackle rising healthcare costs. Besides Apple, Amazon is also considering operating its own clinics for employees. Independent doctors practicing under a model known as direct primary care have been setting up on or near-site clinics paid based on a per-member, per-month model as well. Here’s how it works: Employers opt into the program and pay on a per-member-per-month basis. Those who opt in still use their insurance, with co-pays set by the employer. The employer and Crossover work to recruit employees to join. From there, the members have access to primary care appointments, as well as physical therapy, behavioural health visits, eye doctors, and health coaching sessions. By paying on a per-member basis, Crossover doesn’t have as much of a motivation to pack in as many visits as possible. Instead of interacting with patients only when they’re sick, Shreeve said, the hope is to reach members in other ways. “We just think that’s wrong we think healthcare should have other touchpoints that help keep you healthy,” Shreeve said. Because they’re all part of the same clinic, the primary care doctors are able to chat about their patients with the on-staff therapists and other physicians who are interacting with that same patient. That provides for a more holistic healthcare experience. For employers looking for ways to cut down on their healthcare costs as well as come up with a benefit employees want, Crossover’s model can be a good fit. Cyber security company Symantec chose to work with Crossover as it looked for ways to mitigate the trend of increased healthcare costs. “It’s an ongoing battle for us to stay ahead of the game and try to come up with innovative ways where employees feel like they’re getting a best in class benefit,” Jennifer Lepird, Senior Director of Rewards & HRIM at Symantec told Business Insider. Symantec and the other clients Crossover works with aren’t alone in looking for new ways to get a more direct grip on the healthcare their employees consume. In 2019, General Motors will offer its salaried employees in Southeast Michigan a plan that works directly with Henry Ford Health System, covering about 24,000 employees and their families, lessening the company’s use of its health insurance company. And in January, JPMorgan, Amazon, and Berkshire Hathaway formed an independent venture aimed at lowering healthcare costs for their employees.